We recently demonstrated the existence of neurogenesis in the striatum of adult monkeys, but the number of striatal neurons generated under normal conditions was too small to establish their chemical phenotype. We therefore used brain-derived neurotrophic factor (BDNF), which promotes neuronal differentiation and survival and induces striatal neurogenesis in rodents, in an attempt to increase the number of newborn neurons in monkey striatum and facilitate their chemical characterization. An adenoviral vector (AdBDNF), encoding the human BDNF cDNA under the control of a strong promoter, was injected into the lateral ventricles (LVs) of adult squirrel monkeys, which were then treated with bromodeoxyuridine (BrdU). Two weeks after viral injection, numerous BrdU-positive cells were found within the striatum and many expressed microtubule-associated protein 2 (MAP-2) and neuronal nuclear protein (NeuN), two markers of mature neurons. Newborn neurons also expressed glutamic acid decarboxylase (GAD65/67), calbindin (CB) and dopamine- and cAMP-regulated phosphoprotein of 32 kDa (DARPP-32), three markers of striatal projection neurons. We found no BrdU-positive neurons displaying the phenotype of striatal interneurons. Numerous BrdU-positive cells located near the subventricular zone (SVZ) coexpressed the migrating neuroblast markers polysialylated neural cell adhesion (PSA-NCAM) and doublecortin (DCX), suggesting that precursor cells could migrate from LVs to striatal parenchyma and develop a neuronal phenotype once they reach the striatum. However, many pairs of BrdU-positive nuclei were observed in the striatal parenchyma, suggesting that newborn neurons could also arise from resident progenitor cells. 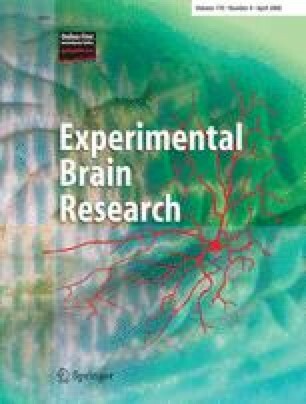 The present study demonstrates that a single injection of AdBDNF increases the number of newborn neurons into adult primate striatum and that newborn striatal neurons exhibit the chemical phenotype of medium-spiny projection neurons, which are specifically targeted in Huntington’s disease. The authors express their gratitude to Dr. Robert Benoit, Montreal General Hospital, for having provided the SS antibody. We also thank M. Lévesque, J.C. Lévesque, A. Lorrain., M. Massouh and C. Paquet for their precious technical help. This research was supported by grant MOP-5781 of the Canadian Institutes for Health Research (CIHR). A. Bédard was the recipient of a CIHR Studentship.